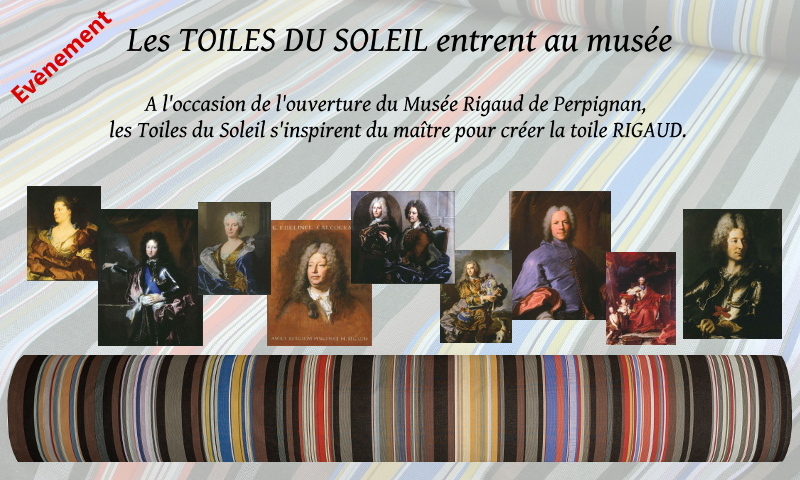 In association with the Musée Rigaud of Perpignan, Henri Quinta and Les Toiles du Soleil propose you their new creation. Hyacinthe Rigaud was born in Perpignan, He was the official portrait painter of King Louis XIV. In spite of the quality of these portraits, their main characteristic is dark and austere backgrounds. However, the luxury and the sophistication of the clothes gave us the inspiration to create a fabric with colored brands reminding the coulours of 9 of these portraits. You can decover this fabric in the shop of the Musée Rigaud, in the shop of Les Toiles du Soleil and in our e-shop.